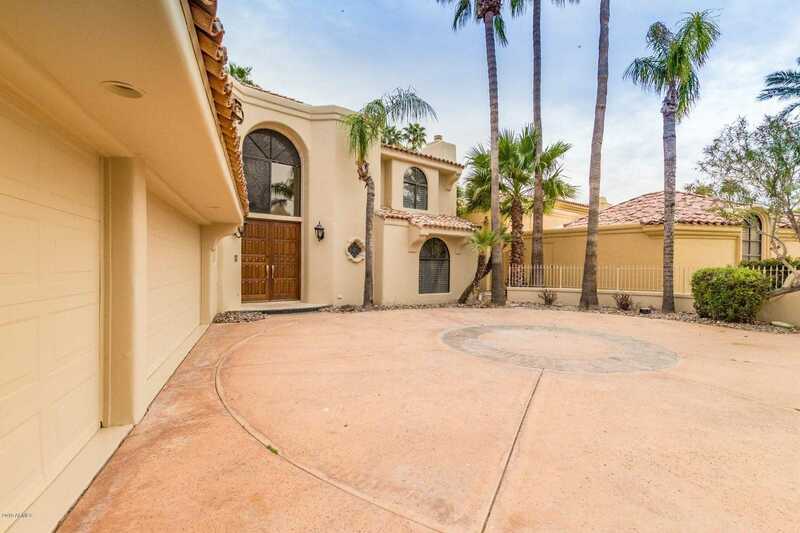 Exquisite waterfront home in Bayview Estates with in Scottsdale Ranch. Only 12 homes in this exclusive enclave; this 4006 sq ft 4bed/4.5 bath remodeled European Style property has 5 fireplaces, gourmet kitchen w/wine ref. granite countertops, subzero ref. travertine floors, den/library, large master bedroom w/luxurious stone bath, jetted tub, walls of glass overlook the lake with palm trees , mountains and extensive marbella stone patio, heated diving pool/spa, beautiful wrought iron lighting, staircase and balcony give this home a real Tuscan charm. Property includes a boat dock to house your ‘yacht’ to enjoy late afternoon & evening cruises, great location!3 bedroom on main level inclusing the master bedroom….A MUST See!! Approximate size: 12940.00 sq. ft. Please, send me more information on this property: MLS# 5697564 – $1,825,888 – 10401 N 100th Street Unit 9, Scottsdale, AZ 85258. I would like to schedule a private showing for this property: MLS# 5697564 – $1,825,888 – 10401 N 100th Street Unit 9, Scottsdale, AZ 85258.